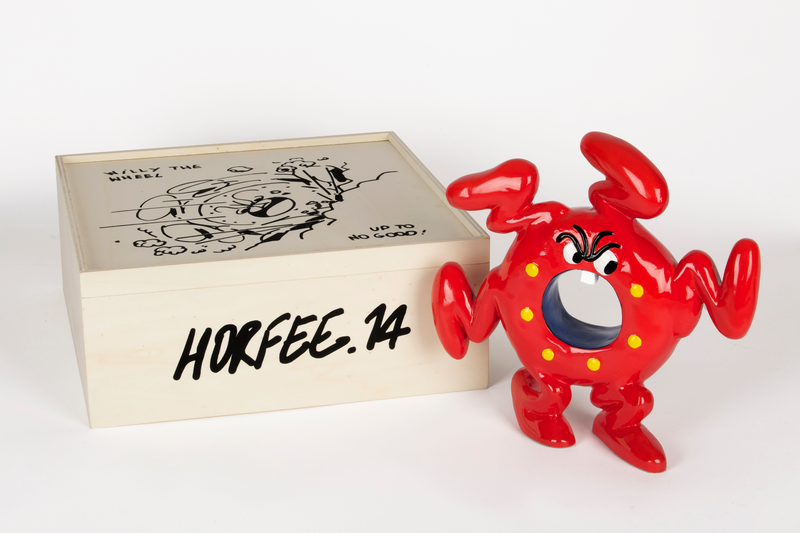 Case Studyo x Horfee created a new edition called “Willy the Wheel”. Popping up in numerous drawings, this figure is part of Horfee’s artistic playground of chaotic landscapes and characters. A universe which can be seen on street walls or on canvases and drawings in galleries. ‘Willy the Wheel’ was the natural choice to create playful sculpture to coexist with this spontaneous and energetic artistic practice. 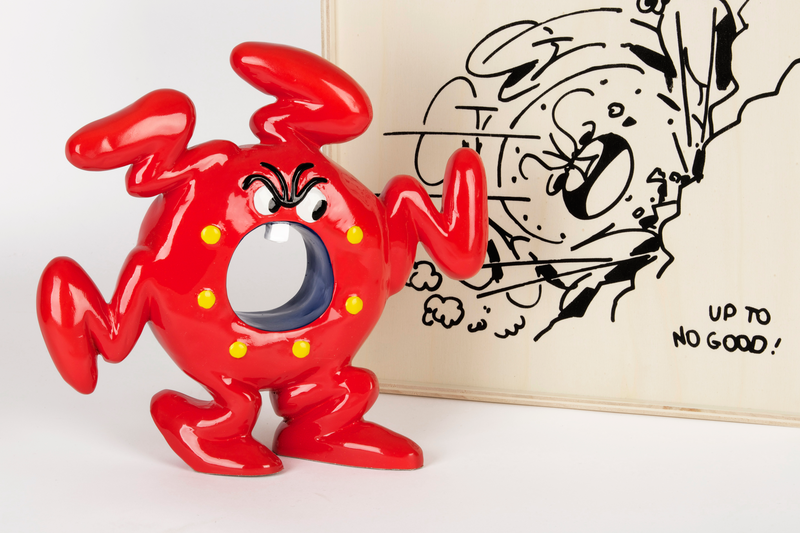 Resin sculpture sized 25cm. 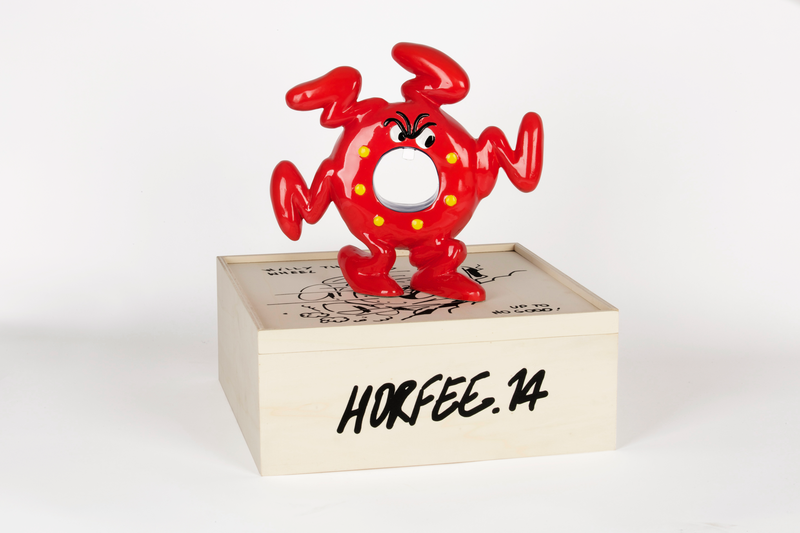 x 25cm. in an edition of 8 + 4 AP’s. 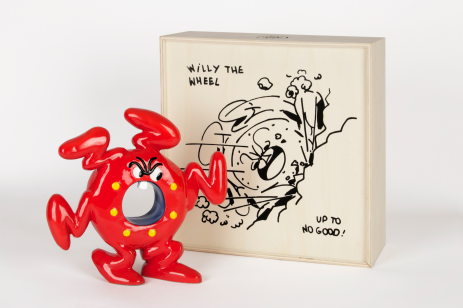 Comes in a wooden box with silkscreened drawing of ‘Willy the Wheel’ with a signed and numbered certificate by the artist.